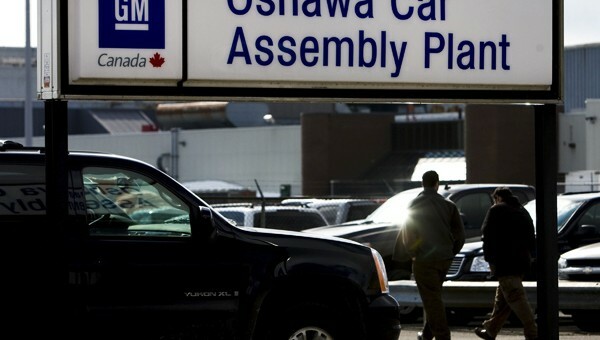 While General Motors posted strong sales results in the United States for November 2011, the same cannot be said for Canada. In fact, America’s Hat recorded 17,951 unit sales during the month, which decreased the company’s market share to 14.2 percent — a new historic low, according to Reuters Canada. There is some silver lining to the story, as Chevrolet Cruze and Buick Regal sales continued to grow, posting 72.5 and 39.5 percent gains, respectively. I see a lot of Cruzes especially in New Brunswick, but Ford and Dodge have taken over what was a few years ago a huge GM truck share. The next gen Impala leaving Oshawa can’t be helping image either. I have never seen the wording “America’s Hat” previously. Can any readers explain? Canada “sits” a top of the U.S. Hence, it’s a hat for America = America’s hat. Thanks for the informative data. When I started working as a car distributor for GM Canada in 1969 we had 60plus percentage of the Canadian market. All during the years since as a GM road warrior and retired owner of a PBGMC dealership I had never heard that “hat” description. Well, one must keep learning something “new” everyday. As to the reasons for the drop in share I would suggest looking at the demise of the Pontiac Brand. Pontiac was a large percentage of passenger sales in Canada and I would surmise the retention of these owners has not been a strong as hoped. I also suspect the demise of the M-Van and U-Van (Montana, Uplander etc) with no comparable replacement in size, practicality or price has also contributed. Just some “thoughts” for a spectacular Saturday afternoon. Yeah, I think you’re right on the button. Pontiac sold just as well as the Chevy brand in Canada, much like GMC sells just as well as Chevy pickups. Lopping off one of your top 2 brands can’t go over that well. Your other point about not having a minivan replacement is another reason for the market share drop. GM did pretty well in that segment, and now the only real alternative is the Traverse or Acadia which are much more expensive than a Grand Caravan. I think another major reason for the decline is the closure of many GM dealerships. Many of those former GM dealers have now become an import brand, and in some small communities people just don’t care enough to drive 1/2 hour to the nearest GM dealer. They’ll go to the local guy first.